What’s in a domain name for executive personal branding? A lot more perception and power than you might think. With the recent introduction of new Top Level Domains, it is now possible for executives and business leaders to define and brand their digital existence down to their domain name. What the heck is a Top Level Domain (TLD)? While a dotCOM address will remain a popular address for general usage, an executive now has the opportunity to differentiate themselves digitally, for instance, by claiming the new dotCEO address that has recently been released into the market. Of all of the domains available on the market, there is no other domain outside of dotCEO that can convey the same authority and power that one associates with the CEO brand. Think about it: There can only be ONE www.NealSchaffer.CEO , right? A dotCOM is a commodity; a dotCEO domain name becomes a personal digital trademark. I always tell people that a LinkedIn profile is the next best thing to having a home page, but if you are a CEO, a dotCEO domain is clearly the best way to both establish your unique personal branding on the Internet as well as ensuring that you put your best “face” forward to anyone that wants to find out more about you. It truly is an address for leaders and entrepreneurs who want to control their brand and reputation. I’ve recently partnered with the social media analytics company PeopleBrowsr, who I have a long relationship with, in the roll-out of the new dotCEO domain, which just became available to the general public last Friday. In just the last few weeks, 100 of the Fortune 500 registered their dotCEO domains and 3,000 individual CEOs are on the wait list. What does a dotCEO look like? PeopleBrowsr understand that business leaders don’t have time to install WordPress or mess around with websites. That’s why they have been working hard to develop a simple template that can pull in your headshot, profile summary, as well as bios from the various social media sites where you may have a presence. In such a way, a top-branded website can be launched in potentially minutes. Have you claimed your dotCEO domain yet? 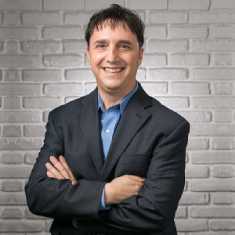 To claim your own dotCEO identity, please visit http://nealschaffer.ceo/joindotceo/. A New Era for Domain Branding? dotCEOs aren’t the only new domain on the block: dotMARKETING, dotCONSULTING, dotSOCIAL, and dotAGENCY are just a few examples of many other new Top Level Domains that have been released in just the last several weeks. Which brings up a larger question to ponder: Do you think “Domain Branding” will become a new trend in the future? Hi Calvyn, you are correct that it is generally available. However, there is a price point that might prevent some from abusing it. Of course, even though many people aren’t companies, we’re all abusing the .com address, right? I personally think that a “CEO” is more than a temporary title and an embodiment of a certain mindset and professional experience. Obviously those that don’t see it that way won’t end up moving to the domain. Either way, from an executive personal branding perspective, I believe it is a great choice for someone who might be considering a .com address.